This year, the HRSouthwest Conference introduced “crowdsourced” sessions, allowing attendees to use the HRSWC app to suggest topics to be upvoted by other attendees. Educating HR pros is my personal intoxicant of choice. I made three presentations at this years’ conference. Still, this turned out to be an interesting and somewhat surprising conversation reflective of our society’s changing attitudes toward marijuana. I started the session by laying out the current landscape regarding marijuana use and testing. 25 states and the District of Columbia have legalized marijuana in some form. Alaska, Colorado, Oregon, Washington, and the District of Columbia have legalized the recreational use of marijuana. Nevada voters will decide about legalization on November 8, 2016. The other 21 states have a medical restriction on the use of marijuana. In some of these states, the medical requirements are so loose that almost anyone with the desire can obtain authorization for medical marijuana use. We often hear that someone has a “prescription” for marijuana. However, because marijuana is illegal under federal law, doctors can only recommend use of marijuana. Although marijuana is illegal in Texas, applicants or employees can travel to other states to use marijuana legally under that state’s laws. Marijuana possession remains a federal offense, and the federal law applies to offenses committed on federal property or in the conduct of interstate commerce. 16 states, including Texas, have legalized cannabidiol (CBD), a non-psychoactive extract of the marijuana plant with minimal tetrahydrocannabinol (THC) that is often used for the treatment of epilepsy or seizures. It is very unlikely that someone using CBD as prescribed would test positive for marijuana in a standard urine drug test with a cutoff of 50 ng/ml. Urine and hair-based tests for marijuana look for the metabolites of THC. Saliva tests look for the presence of actual THC. And blood tests look for both. Marijuana tests don’t measure the level of an individual’s impairment or influence by the drug – only the presences of the THC or metabolites in the individual’s system. Three states, Arizona, Delaware, and Minnesota have protections for medical marijuana users who test positive in the workplace. These protections do not apply when the individual is impaired. In Pennsylvania, an employer may not discriminate against an individual simply because he has a medical marijuana card. In all states, however, federal contractors are exempt from these local protections, at least to the extent that the affected employees are working on federal contracts. So far, no courts have ruled that employers have to provide reasonable accommodation under the Americans with Disabilities Act to individuals using marijuana for medical purposes. 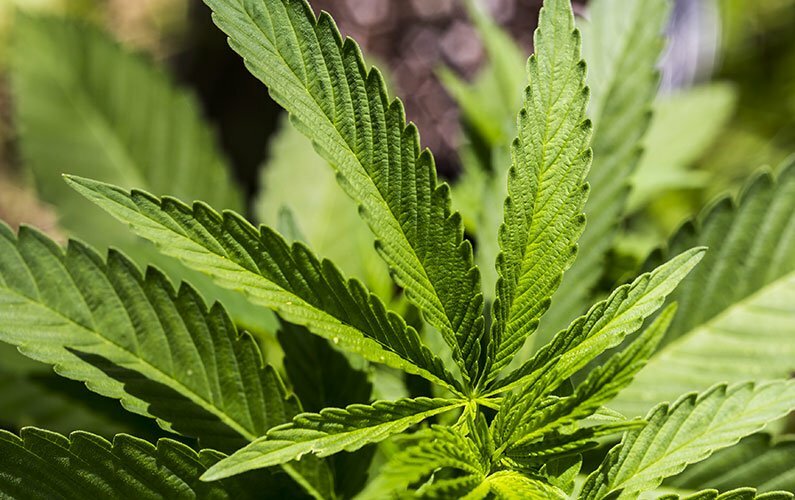 The HR professionals who gathered for the crowdsourced session generally expressed personal reluctance to penalize individuals for marijuana use, though they advocated continued testing for other illegal drug use. In particular, when the individual is not in a safety-sensitive position and the individual’s performance is not impaired, some attendees felt that off-duty marijuana use was not unlike off-duty alcohol use. However, several said that their company policies were not so forgiving. It seems that recent college graduates with misdemeanor citations for marijuana possession often present challenges for prospective employers. I suggested that employers really concerned about ongoing use by a new hire could simply have a frank conversation with the individual about the company’s zero-tolerance policy and explain that the individual will be subject to more frequent drug testing during their first year of employment than the rest of employee population. This has worked for several Imperative clients who did not want to lose a good candidate but wanted to ensure a drug-free workplace. One participant shared that she had terminated a long-term and valuable employee because her company executives held a zero-tolerance position on all illegal drug use. Another participant pointed out that she has had more issues with employees under the use of legally-prescribed drugs than employees under the influence of marijuana. Some employers have decided not to address marijuana in their drug-testing practices, removing the marijuana panel from their drug screening profile. Other employers simply ignore positive results on pre-employment or random screening results. My concern with that practice is that if there is an accident or injury and the employee has previously tested positive for marijuana, OSHA or a plaintiff’s lawyer may allege that the company was not appropriately safety focused – even if the employee tests negative after the incident. Of course, federal and state contractors and many businesses operating under a state-licensing authority have mandatory drug-free workplace requirements that they must meet. There was discussion about OSHA’s commentary earlier this year suggesting that post-accident drug testing is prohibited because it would cause employees to avoid reporting accidents or injuries. OSHA issued a memorandum walking that position back a bit earlier this month. Should employers continue to treat marijuana use on the same level as other illegal drugs or should they treat it more like alcohol, addressing it only when the individual’s performance may be impaired? Let me know below! Great read, Mike. I couldn’t attend this but was interested in how the discussion went. I can’t imagine ignoring positive results and/or removing the marijuana test from the drug panel, but the majority of the jobs at our organization are highly safety sensitive. Thanks for providing a recap! See at you the next HR meeting.